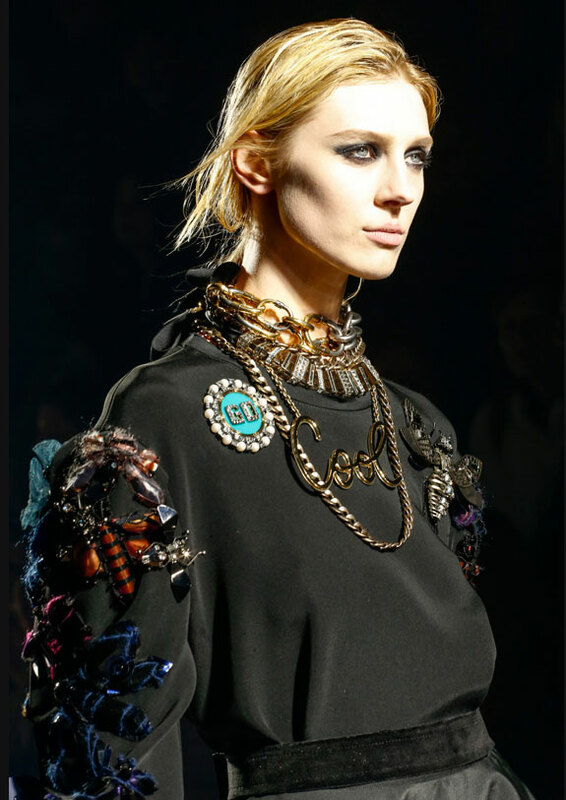 The flamboyant accessories stole the show at Lanvin's Fall 2013 presentation in Paris last week. 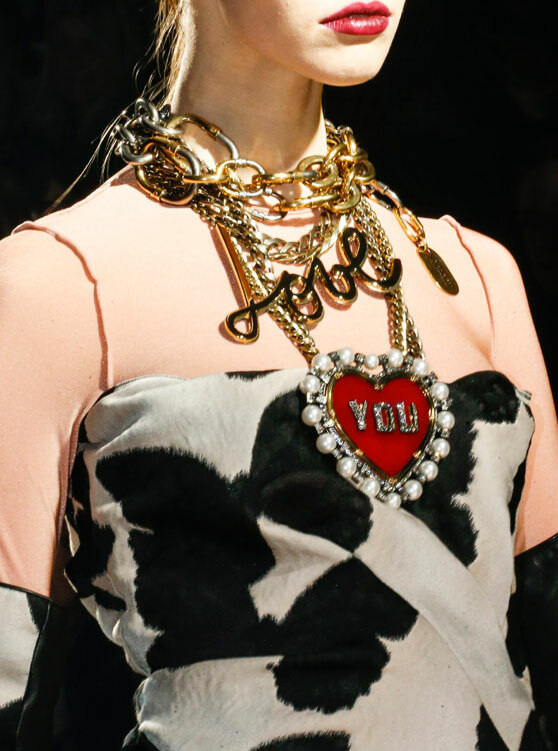 There were mammoth-sized message necklaces, medallion-like pendants, bold chain-link chokers, and major brooches. Make your own big-time statement piling on some gilt now from Ben Amun (a four-for-one deal! ), Topshop (super chunky), Fallon (a classic), and Vince Camuto (under $100!). Very flashy. Got to be gutsy to wear these! Honestly not getting it. Seems a little cheese ball-ish. It is a lot to pile on but, remember, it's all about runway drama. 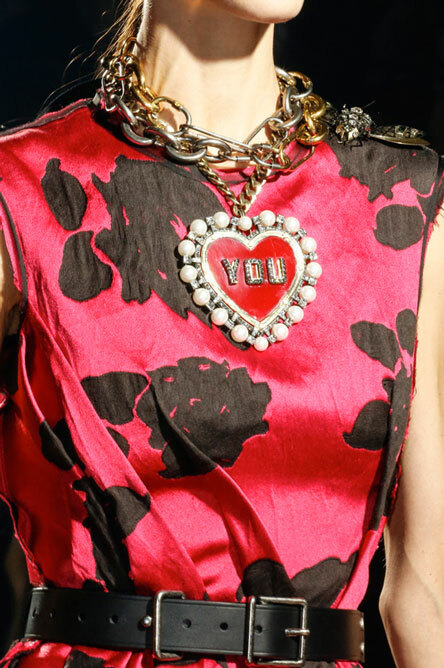 I think in real life just one of these necklaces can do the trick!